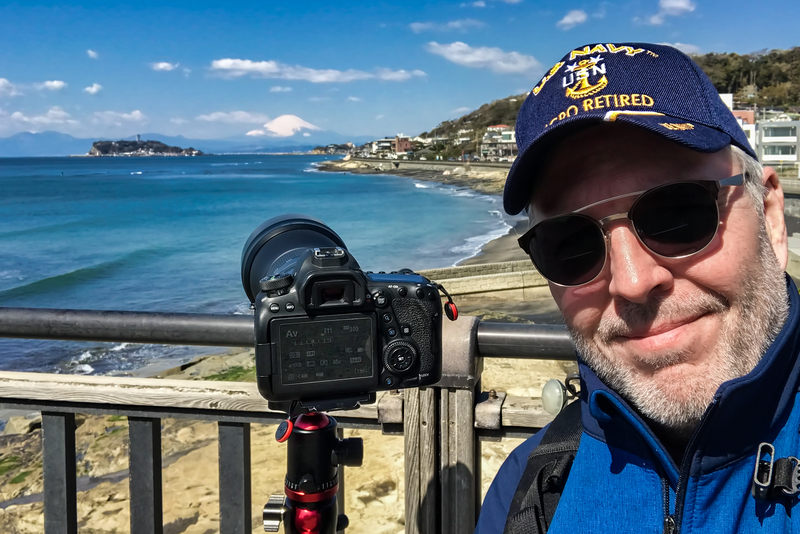 Today was a great day, I drove about 30 minutes down the road to Hayama and the location of this selfie in Inamuragasaki, Japan to shoot photos of Mount Fuji. Along the way I stopped at 7-11 for something eat, why 7-11? Because it rocks in Japan! I did my thing of grabbing something to eat that I’ve never had before, no idea what it was, but as usual it was awesome! For practically my entire Navy career, I tried to get to Japan. However, it wasn’t in the cards, I was fortunate to spend many years in Italy and I’m not complaining because that worked pretty well too. Everything happens for a reason and I’m thrilled to be in Japan at this point in my life, retired with a camera, living here as a military dependent and all the time in the world to experience this incredible place. Yup, today was definitely a great day!